The Door’s Health Center offers comprehensive health services – including primary care, dental, eye care, dermatology, nutrition, and sexual/reproductive care services – to any Door member, no matter your ability to pay or your insurance coverage. The first step to accessing our health services is to become a member; joining is free and easy! We take walk-ins for pregnancy testing, HIV testing, and emergency contraception. If you’re already a patient and want to check your records, request an appointment, and more, check out our patient portal at https://health.healow.com/thedoor. Sexual and reproductive care – exams for men and women, HIV counseling and testing, PrEP and PEP, STD testing and treatment, HPV vaccinations, pregnancy testing and options counseling (referrals for prenatal care, adoption, and terminations). Contraception – all birth control methods, including: copper and hormonal IUDs, implant, emergency contraception, pills, the patch, the ring, depo injection, male & female condoms, diaphragms, sponges, spermicides, counseling on natural family planning methods and abstinece education. A medication supply room on site, so we can quickly provide you with a wide range of commonly needed medications without you having to go to the pharmacy. A laboratory is also on-site, so you do not have to go off site for tests and screenings. A free and confidential text line – you can get answers to any of your health questions by texting “thedoor” to 66746. Check out some of our text line’s most common FAQs! All health care services are confidential. You do NOT need permission from your parent or guardian to access reproductive services. An Entitlements Counselor is available to assist young people with Medicaid and other entitlements programs in a completely confidential setting. Primary care, dental, and eye care services will be provided regardless of your ability to pay. When the health center is closed, an after-hours operator will be available to speak to you. Our medical staff will return your call during the next business day. If you are experiencing a medical emergency, please call 911 or go to the closest emergency room. The Door’s Health Center is a New York State licensed Article 28 facility and a Federally Qualified Health Center. 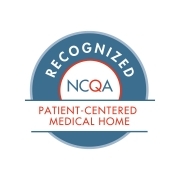 The Health Center is recognized by the National Committee for Quality Assurance (NCQA) as a Level-III Patient-Centered Specialty Practice—the highest level of recognition. The Health Center is required to inform you about the “New York State Emergency Medical Services and Surprise Bills Law”, commonly referred to as the “Surprise Bill Law”, which was passed to protect consumers against unknowingly receiving care from out-of-network providers and facing surprise medical bills. You will not receive a bill from any health care plans with which the Health Center participates with, or from any Hospital with which the Health Center is affiliated. The Door’s Health Center is funded in part by the Federal Department of Health and Human Services, New York State Department of Health, New York City Department of Health & Mental Hygiene, and private grants.